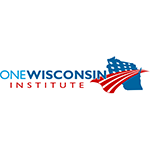 The Institute for One Wisconsin is a 501(c)(3) statewide research and education organization of 80,000 online supporters that utilizes research, communications, rapid response and online organizing to achieve its vision for a Wisconsin with equal economic opportunity for all. The Institute operates in a joint agreement with One Wisconsin Now, a 501(c)(4) advocacy organization, and its shared research and staff have appeared in thousands of media articles at the national, state and local levels and is a sought after source as an established news maker. The Institute for One Wisconsin has conducted groundbreaking research on the alarming impact of the trillion dollar student loan debt on key measures of household economic activity, new car purchases and home purchases. One Wisconsin working with public officials, partners and stakeholders and engaging students, borrowers and the general public to advance common sense solutions to the student loan debt crisis.